I’m not at the Aircraft Interior’s Expo (#AIX15), but I’m certainly following Twitter on it. For those of you who may not be familiar with #AIX15, its the largest aircraft interiors trade show of the year. So for a lot of folks, its kind’ve a big deal. I probably should’ve lowered my expectations for the show’s new products (there’s usually a cool new seat someone’s pushing), when I saw Seth Miller aka Wandering Aramean write Have they all given up hope for the economy cabin? In the post (a quick read I might add), he notes how the Passenger Experience Conference (a pre-cursor to AIX), had speakers who spoke more of “distract[ing] your customers” rather than actually making them comfortable. Give them In Flight Entertainment (IFE), give them in flight connectivity, do whatever you can to distract them from the fact that they’re sitting in a 27-31″ pitch, 17-18″ wide (or narrow as is more the case) seat, with someone reclining in their lap. Seth finishes the post off in saying that he could just be a curmudgeon (which, I suppose sometimes we all can be), but I don’t think that’s the case here. What all this results in, is a 3-5-3 A380 Economy cabin, that I suspect no one will enjoy flying in. You can find photos of this via one of the above RGN links, I just couldn’t bring myself to upload a photo of the 11-abreast, 3-5-3 A380 mock-up. using this as an argument for providing more choices; e.g. the beyond emerging “Premium Economy” as a class of service, and not just a few extra inches of room. As you can see, all this talk of “choice” is ultimately squeezing Economy into a smaller space. 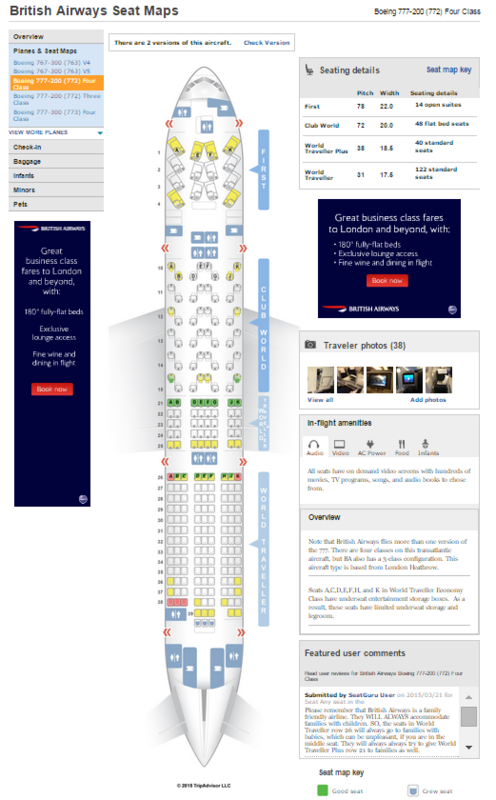 The question that comes to mind when looking at such seating charts is: does that ultimately result in lower premium cabin fares (even “premium economy”) or higher “regular” economy fares? Sounds like the “Choice” approach is much better for the airlines, than for flyers. Saying, “they can just buy PremE” is a specious argument. There are real health & safety concerns with a layout that dense. Also, not everyone is rolling in the cash to spend that much more to fly. Yes, travelers are demanding ever cheaper (or at least not higher) fares as part of the travel experience. But say I have a $400 travel budget. Getting the super-cramped seats at $350 or PremE at $1000 (or more) doesn’t really give me a choice. @Wandering Aramean – I hadn’t even thought about the safety concerns of squeezing folks into such smaller seats! There’s only so much “distracting” that can be done, too.